Spectro™ Woman is an innovative antioxidant multiple designed to meet the needs of the active woman who wants a complete formula in an easy 4-daily dosage. 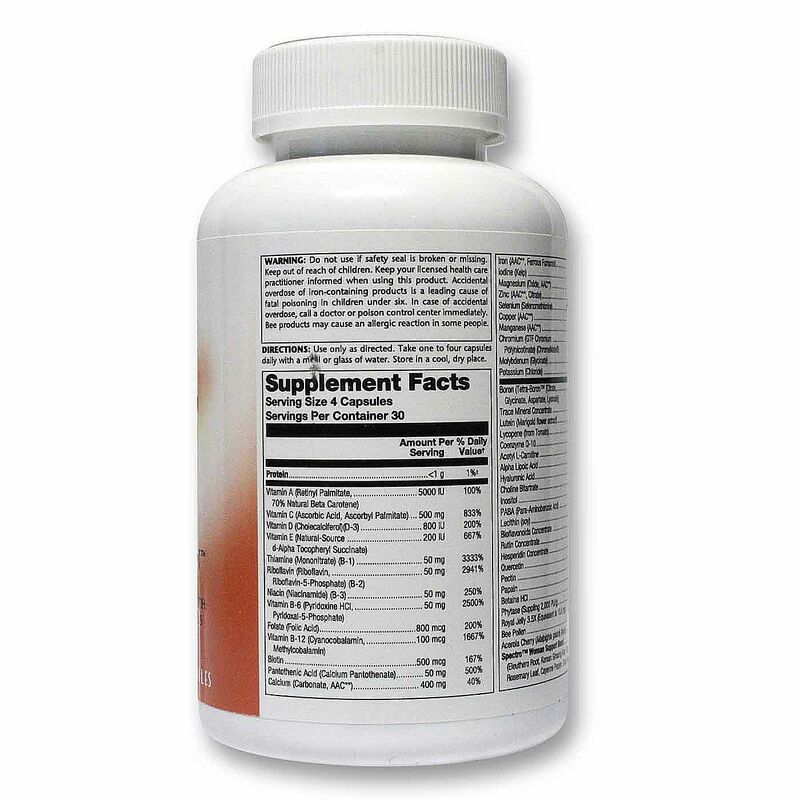 This formula combines over 80 ingredients, including optimal amounts of coenzyme vitamins, full-spectrum chelated and trace minerals, enzymes and carotenoids. 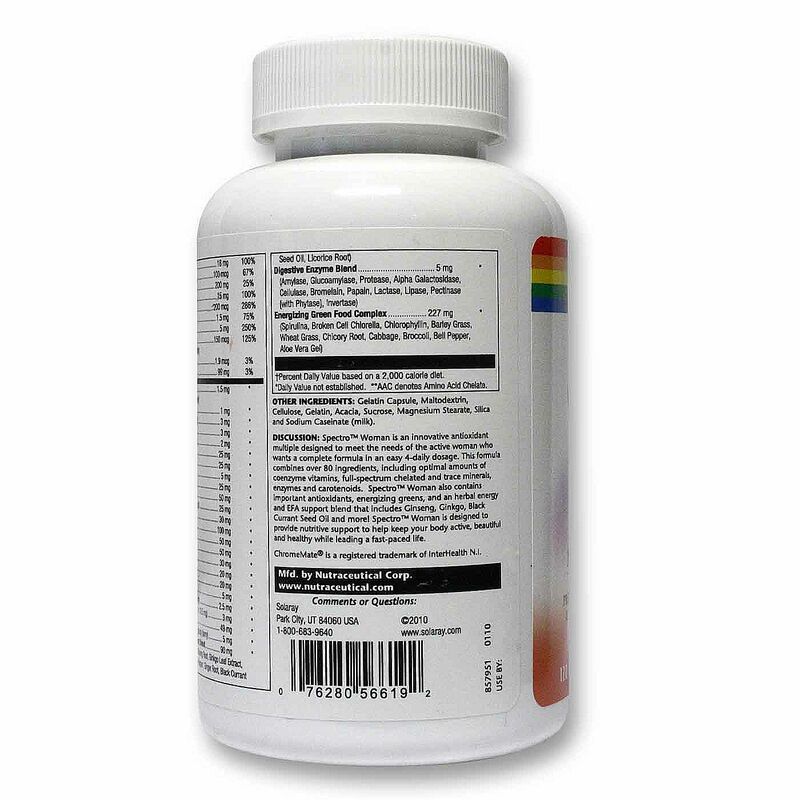 Spectro™ Woman also contains important antioxidants, energizing greens, and an herbal energy and EFA support blend that includes Ginseng, Ginkgo, Black Currant Seed Oil and more! 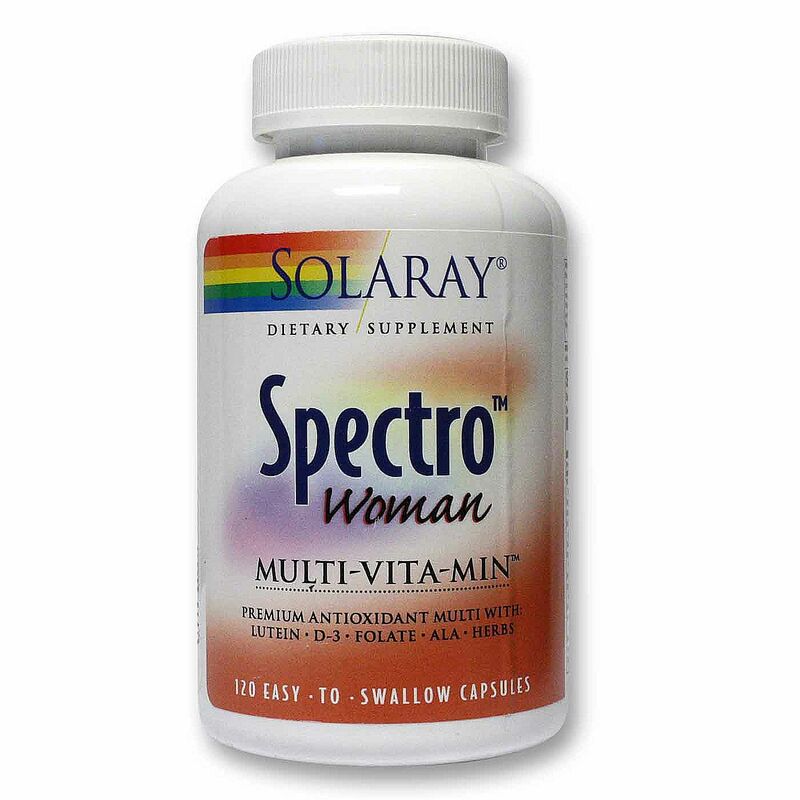 Spectro™ Woman is designed to provide nutritive support to help keep your body active, beautiful and healthy while leading a fast-paced life. 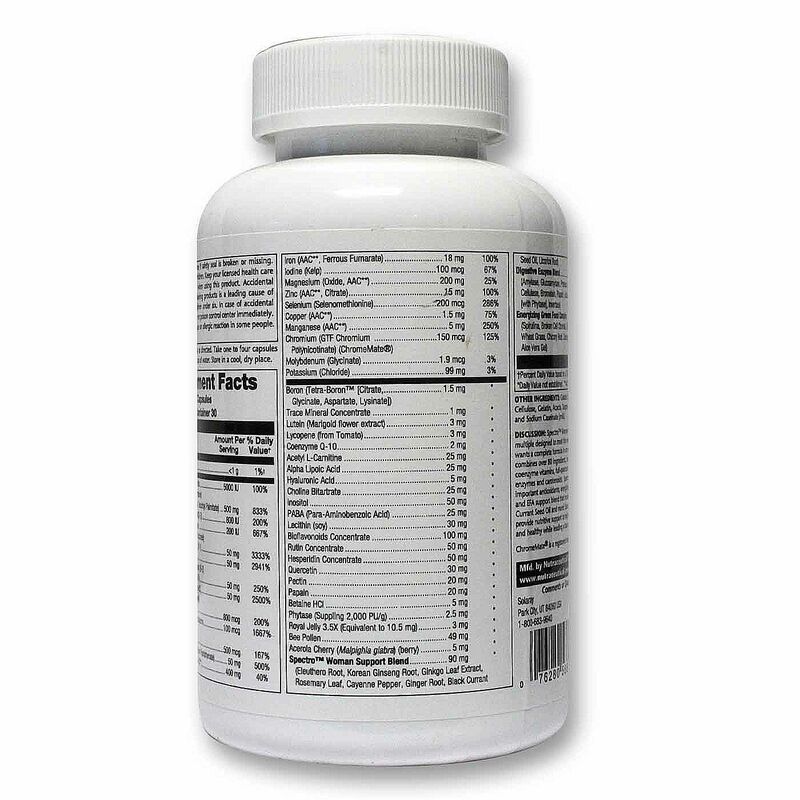 Recomendações de uso: Take one to four capsules daily with a meal or glass of water.